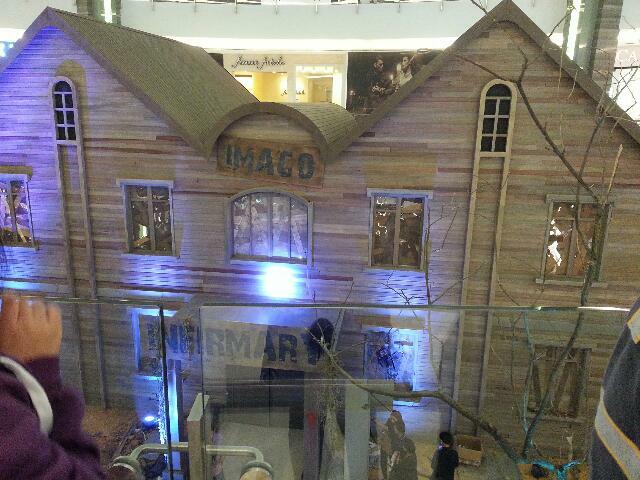 Few days leading to Halloween, the 2-storey haunted house at Imago was opened for visitors. To promote such an event, those who would like to get a pass into the haunted house can obtain the ticket from any of the shops in Imago by spending RM50.00 in a single receipt. One ticket for every RM50.00 spent. 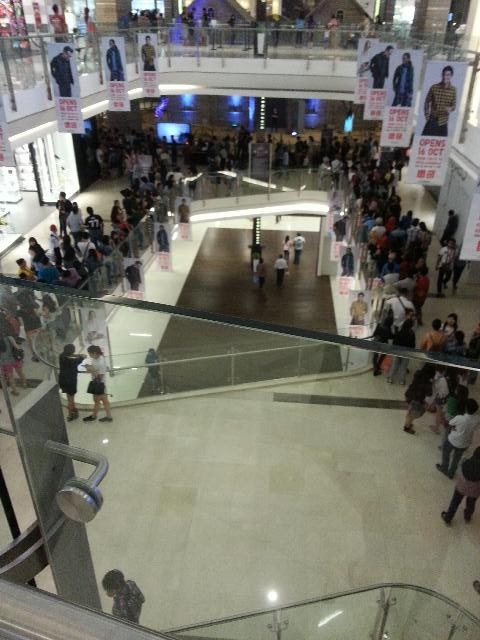 People must be very excited to meet the Ghosts..look at the queue. 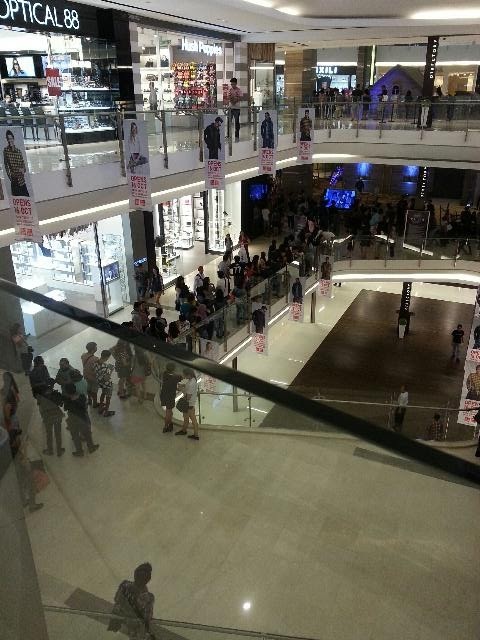 Not just one line but two lines of long queue. One line went to upstairs and the other line went to downstairs. 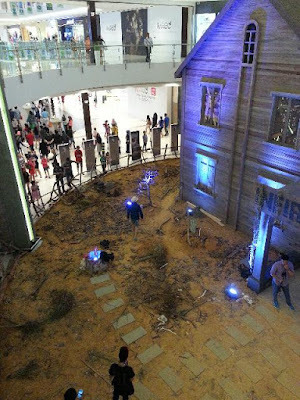 My ex-colleague together with her cousins waited in the queue from 10am - 8pm for their turn to enter this ghost house. They took turns to have meals and to the toilet in order not to be out from the queue. Only age 16 & above with no heart problem persons are permitted to enter. They organizer carried out blood pressure test on each visitor to ensure no one gets heart attack when they face the scary ghosts inside the house. We are not ready for an heart attack so we only stood around to observe, we could hear people shouting and running inside this scary house. I was told that once they were inside they could not turn back, one way out is to find the key to open the door to get themselves out. The key was hidden someway inside the house. 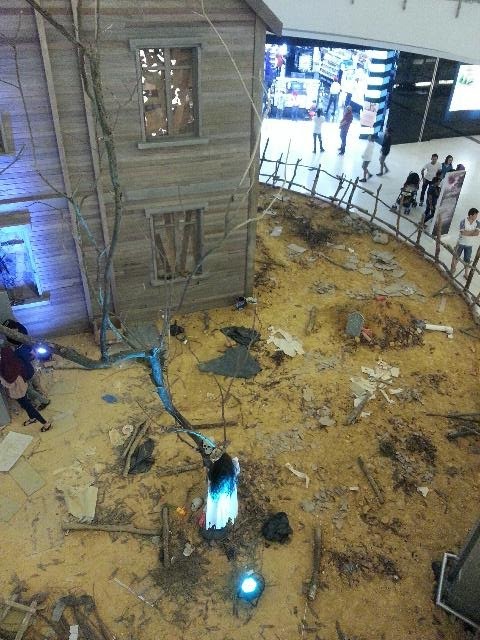 I can imagine it will turn spooky when all the shops are closed and most of the lights in the shopping mall are off during the night. it is still open for visitors until 15th November. 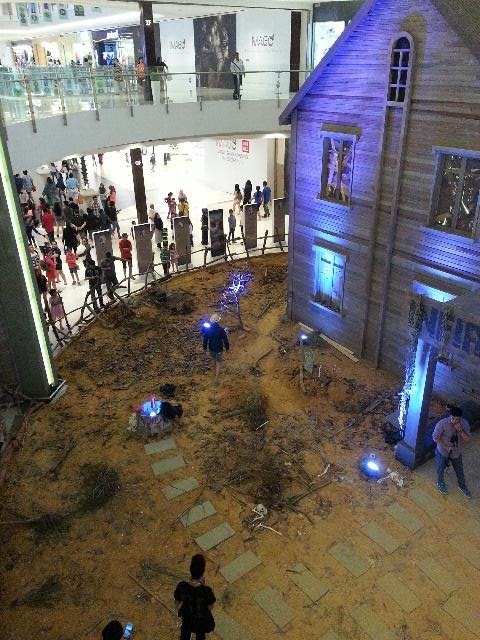 Some suggested that they want this haunted house to be moved to their kampung land after the event is over..it is a nice house which was built put together within a month. No thank you! I wouldn't be found queuing such long hours to be scared out of my wit. Ha ha no heart attack will get heart attack!